Famous for its magnificent mountains and gleaming glaciers, Norway is a truly captivating country. The country has many incredible cultural hubs, like Tromsø, which offers every city delight as well as proximity to the Arctic Circle, making it an enticing place for nature lovers and culture vultures alike. Here you’ll find the intriguing Polaria Museum, where you can learn all about the marine life of the Arctic and admire the bearded seals that call its waters home. 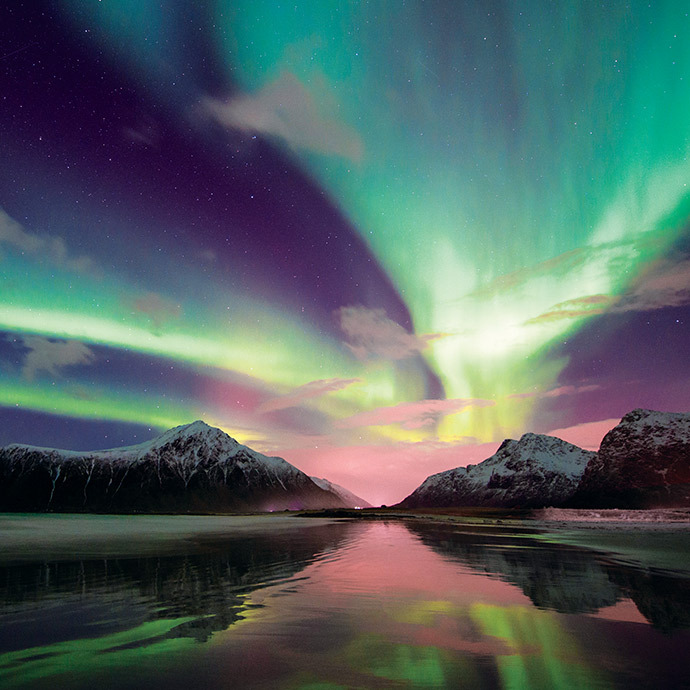 And, of course, the celestial light show that is the Aurora Borealis occurs regularly in this intriguing part of the world; a colourful spectacle that leaves all who see it absolutely awe-struck, you won’t want to miss this spellbinding phenomenon on your Norway holiday package with Travelsphere. A thrilling adventure across Norway, Travelsphere shows you the very best of this glorious glacial land. Our Norway tour packages offer breathtaking views, roots and culture like nowhere else in the world, and a wide range of once-in-a-lifetime experiences! From husky-driven sleigh rides to handicrafts made by the Sami people; traditional folk tales to ice fishing, there’s plenty for the avid adventurer to enjoy. Norway’s proximity to the arctic circle also offers visitors a chance to get fully acquainted with the Sami way of life and try things such as lasso throwing and reindeer herding. Discover all that’s great about Norway on escorted tours with Travelsphere. Norway’s Sami people have been protecting the heritage and traditions of those who came before them. Learn more about their culture, from reindeer herding to food, music and traditional dress.